It should be no surprise to anyone that family relationships are never quite what they seem. It should be no surprise to anyone that family relationships — husbands and wives, parents and children — are never quite what they seem, and are often disappointingly much less. 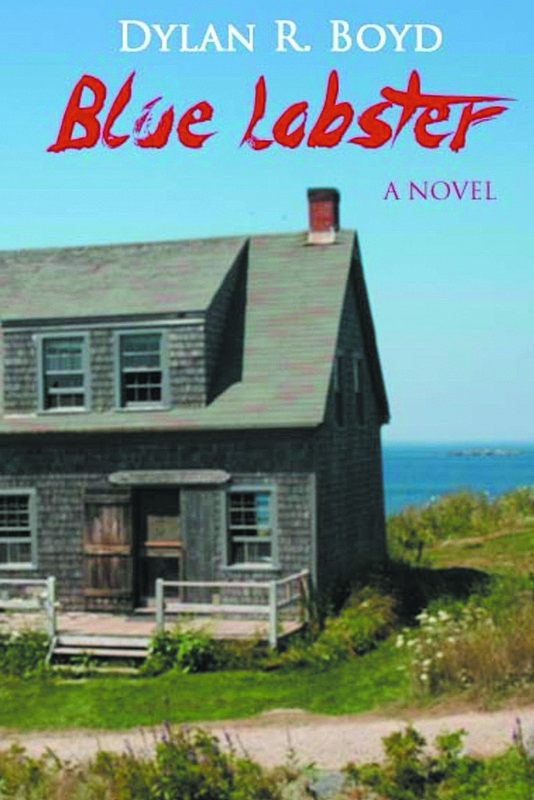 Portland author Dylan Boyd’s self-published, debut novel, “Blue Lobster,” offers a complex family drama covering more than 40 years of passion, tragedy, jealousy, drug and alcohol abuse, infidelity, secrets, murder and other bad choices. This is an ambitious writing effort, too long by 150 pages, but a good first novel nonetheless. In 1995, 22-year-old Johnny Rames is arrested for murder after awakening from a drug-induced stupor at a music festival in Limestone, Maine. The victim is a cocaine-addled petty drug dealer, but Johnny has no memory of that night, despite being covered with the victim’s blood. The ensuing investigation and trial covers months, giving his defense attorney time to discover long-held secrets about Johnny’s family history. However, things do not look good for the kid, and his lawyer knows it. Using numerous flashbacks, Boyd lays out some clever groundwork to reveal Johnny’s lineage — as far back as his grandparents in the 1950s — but these revelations may or may not be helpful in Johnny’s defense at trial. Many characters will appear and reappear throughout the flashbacks, but Boyd smartly and carefully links them together over time, and the perceptive reader will figure out the connections before long. The murder mystery aspect may seem central to this tale, but it is merely the vehicle that ties all the family threads together. That said, Boyd’s best, most suspenseful writing is in the courtroom scenes, vividly and accurately portraying the tense courtroom tactics and antics of an aggressive, ruthless prosecutor and a desperate, sly defender. There is a lot going here, but the patient reader will be amply rewarded. Outdoor stories of wildlife, hunting and fishing are popular with Maine writers and readers, and Paul Fournier spins some great outdoor yarns. 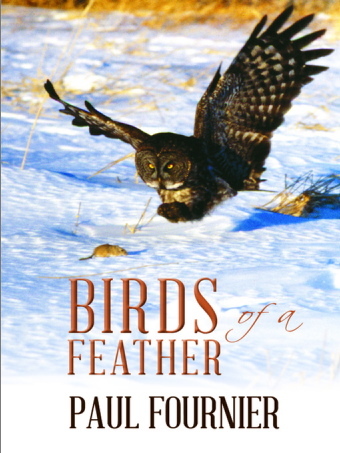 “Birds of a Feather” is Fournier’s last book, following his award-winning “Tales from Misery Ridge” in 2011. Fournier (1929-2013) passed away just months before this book came out. He was a native Mainer, registered guide, journalist, photographer and filmmaker, so he not only knew nature, he knew how to write colorfully and convincingly. This is a collection of 23 stories, several previously published, covering more than 50 years in the Maine woods. Most deal with wildlife, a few are anecdotal memories of filmmaking, sports reporting and game wardens, but all are simply elegant, descriptive storytelling — honest, vibrant and humorous. In “Moose Without Borders,” he tells how Canadian hunters poached Maine moose without ever crossing the border, and it was all perfectly legal. “How to Dupe an Enemy” describes how nature’s unique methods of camouflage and “fright psychology” protects prey and thwarts predators. “The Silent Ghost of the North” is a beautifully crafted essay about the Great Gray Owl, one of the largest and rarest of northern bird predators. This story is a magnificent example of effective wildlife writing. Other funny and perceptive stories tell about the acute sense of smell of many animals, birds, insects and fish, how animals communicate with each other, how to track them in the snow and how bald eagles build such intricate, complex nests. Learn how a game warden captured two poachers by using their own trap to nab them, why dogs love to roll around in disgusting, putrid carrion (yuck! ), why game wardens dread Thanksgiving weekend and about Lewiston’s most famous one-minute boxing match.